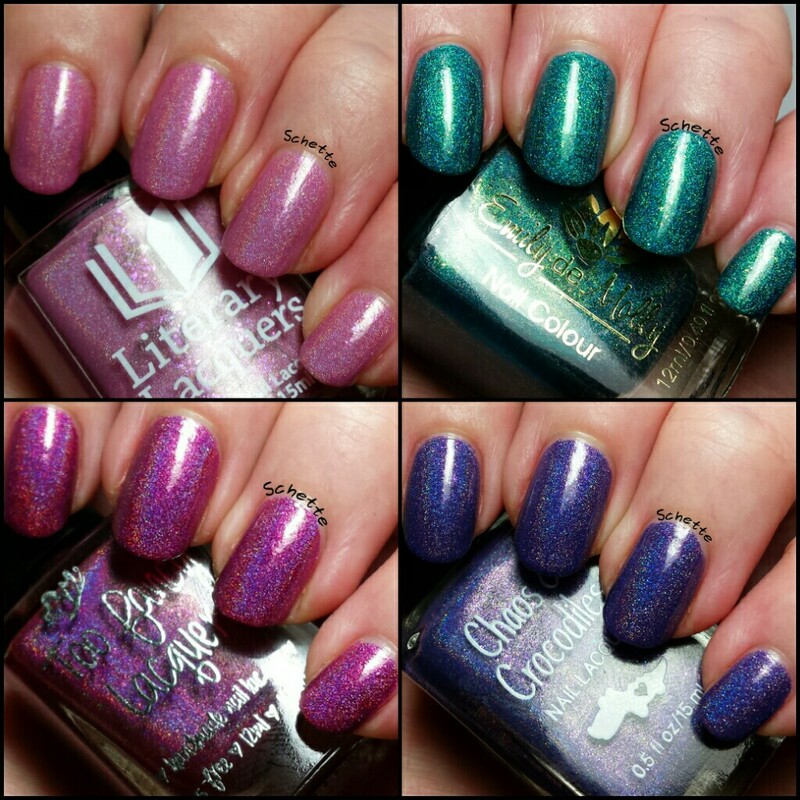 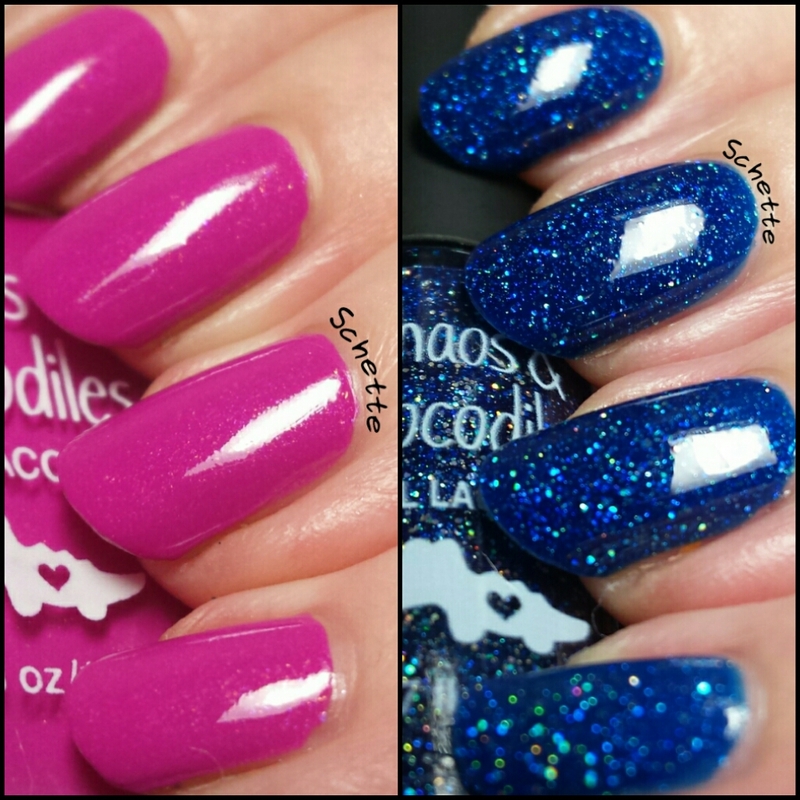 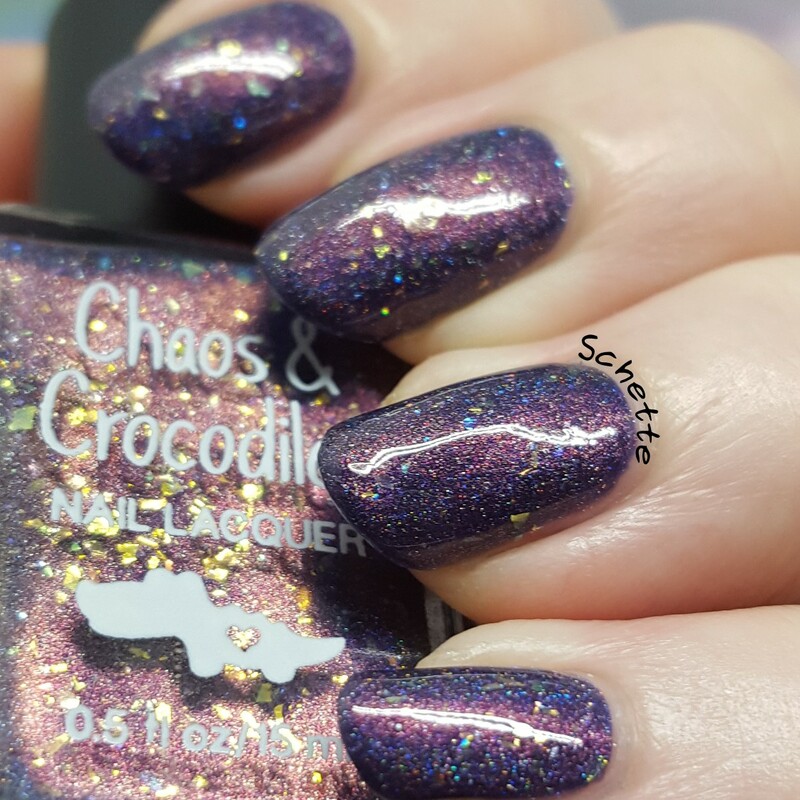 Ce Topper holographique à paillettes s'appelle Star Cloud de Chaos and Crocodiles. 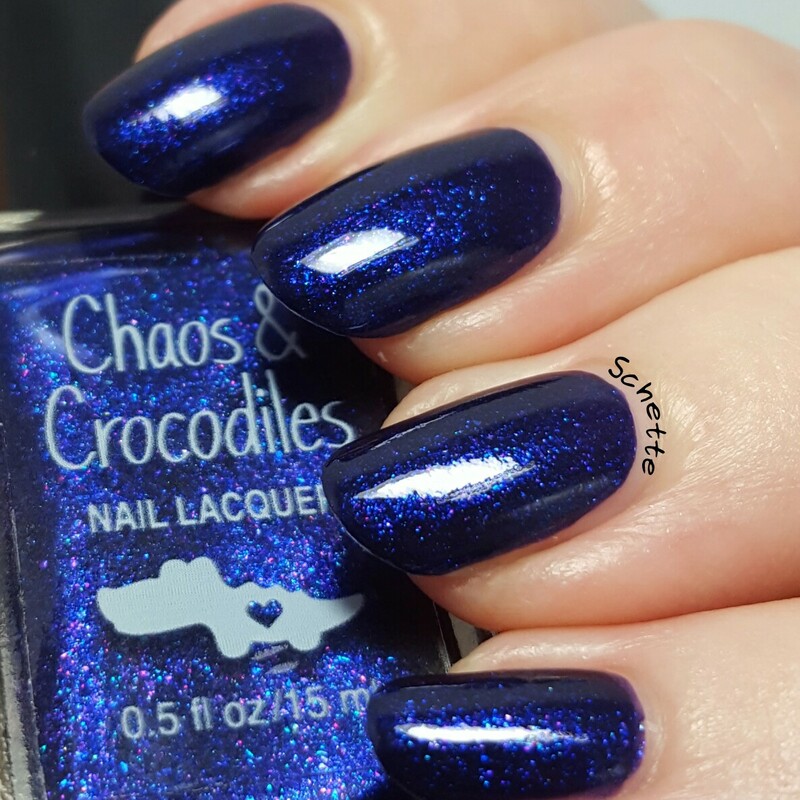 Ici en une couche avec top coat sur une base noire. 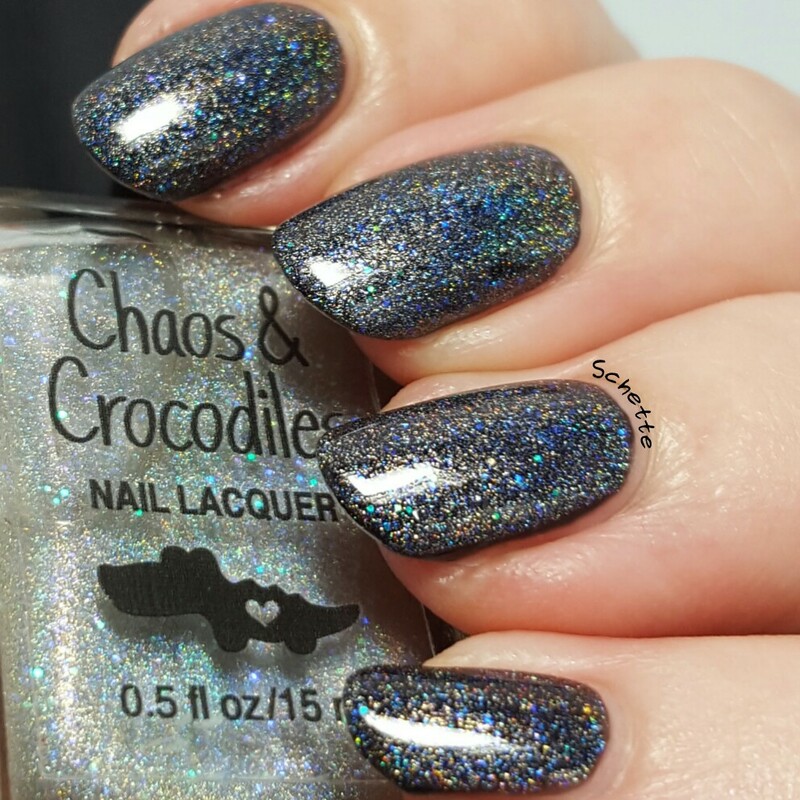 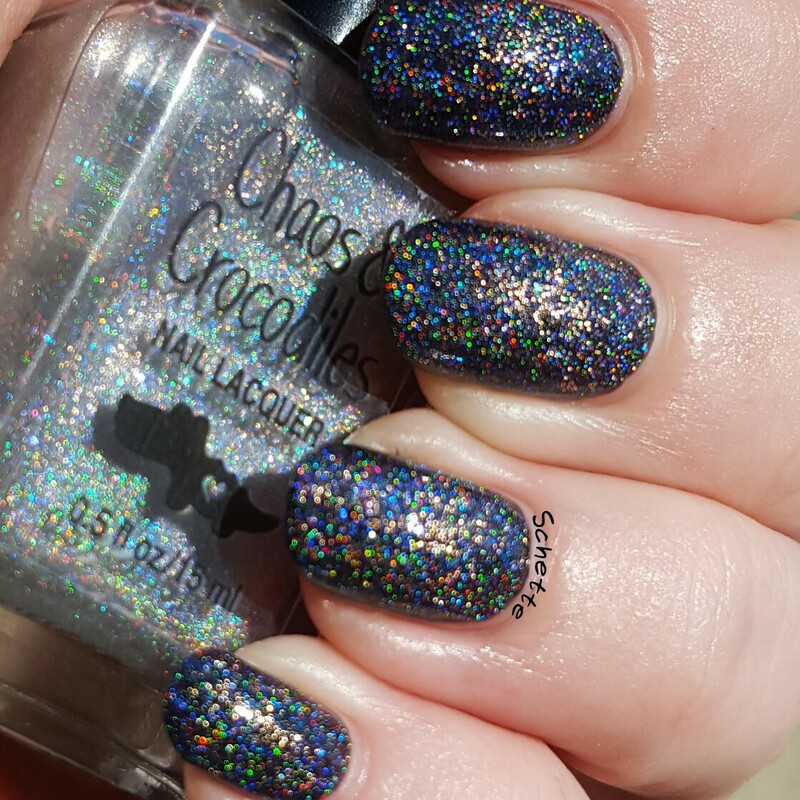 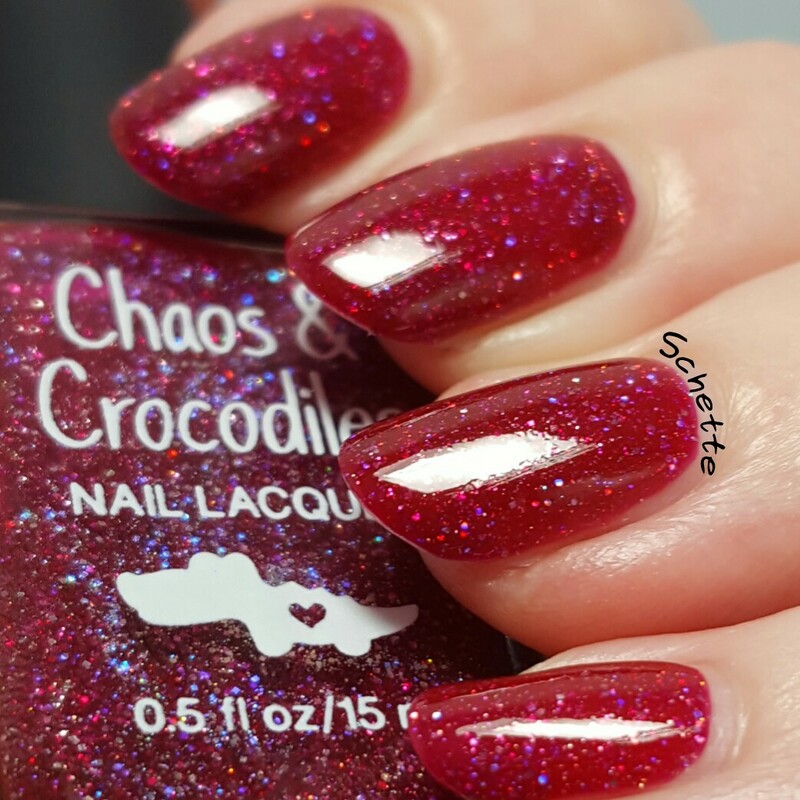 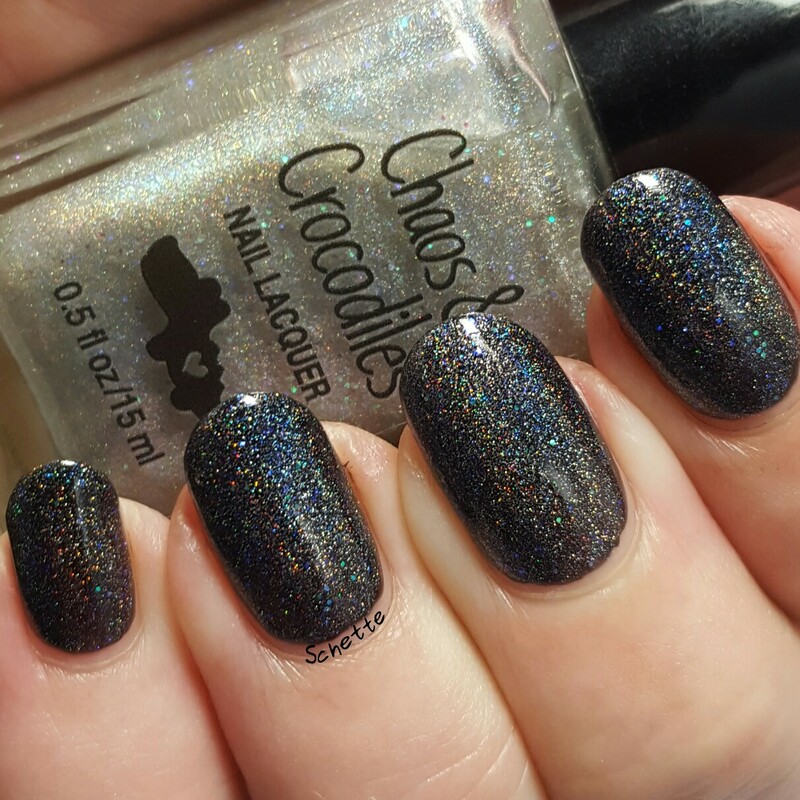 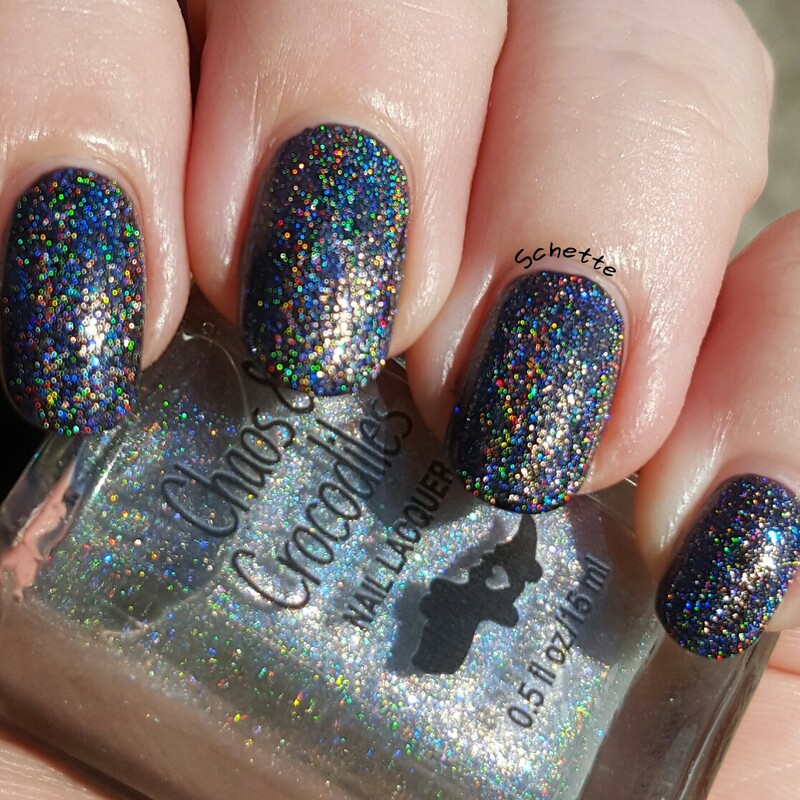 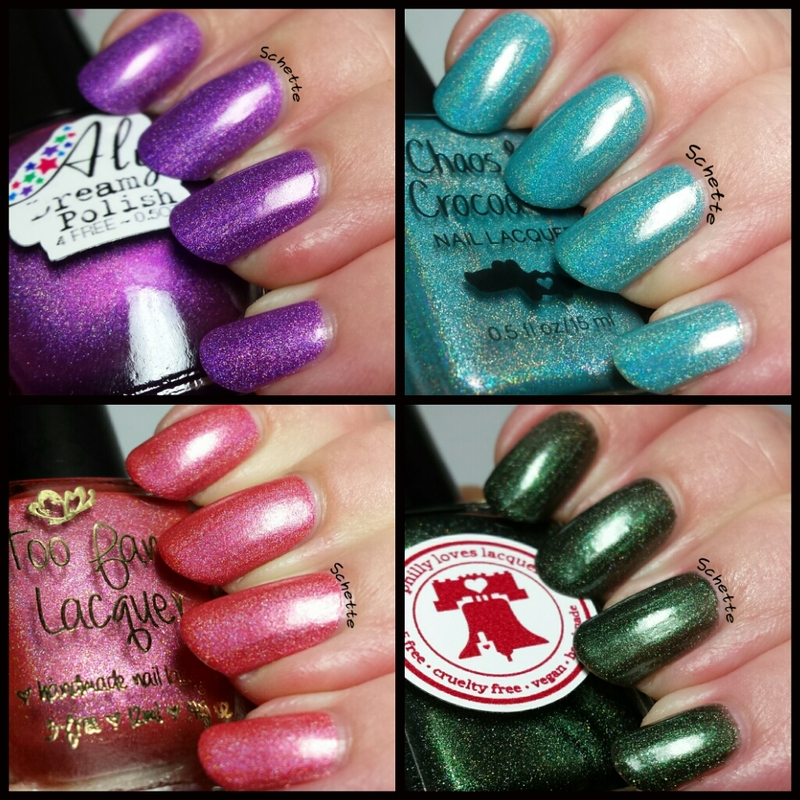 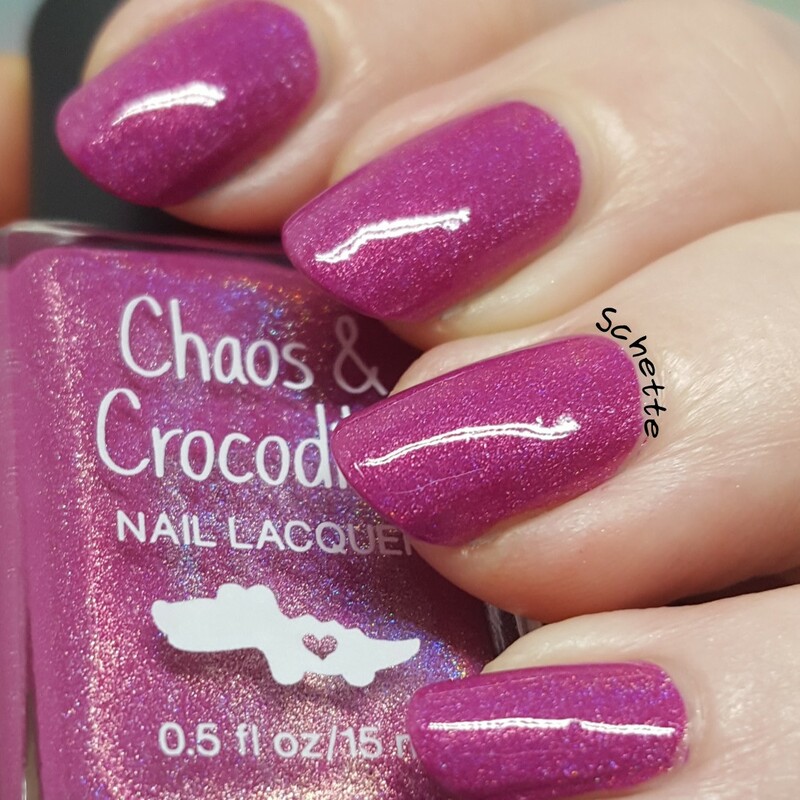 This Holographic topper with glitter is called Star Cloud by Chaos and Crocodiles. 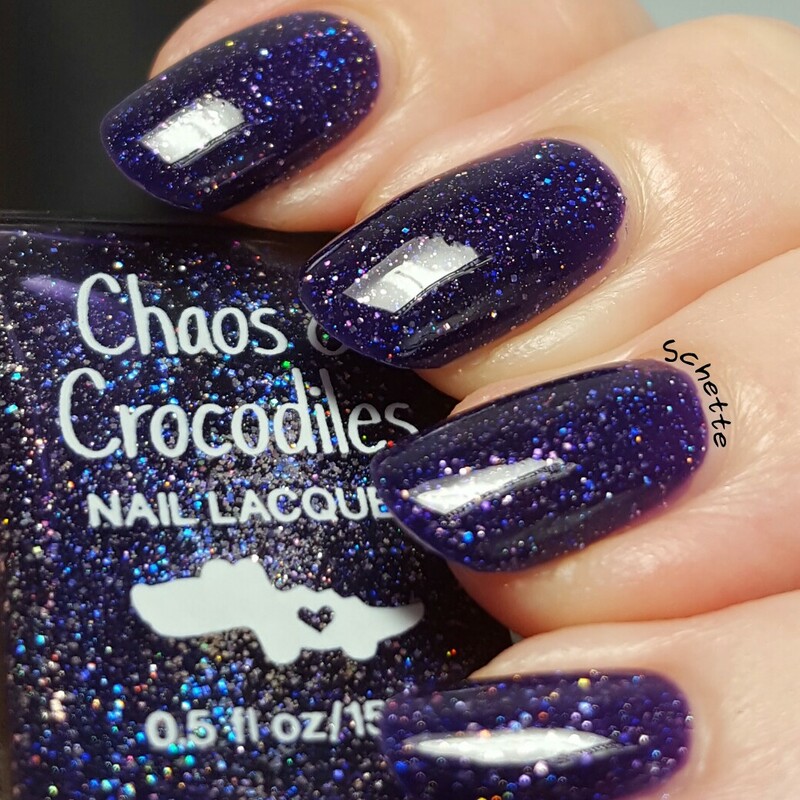 Here in one coat with top coat over a black base. 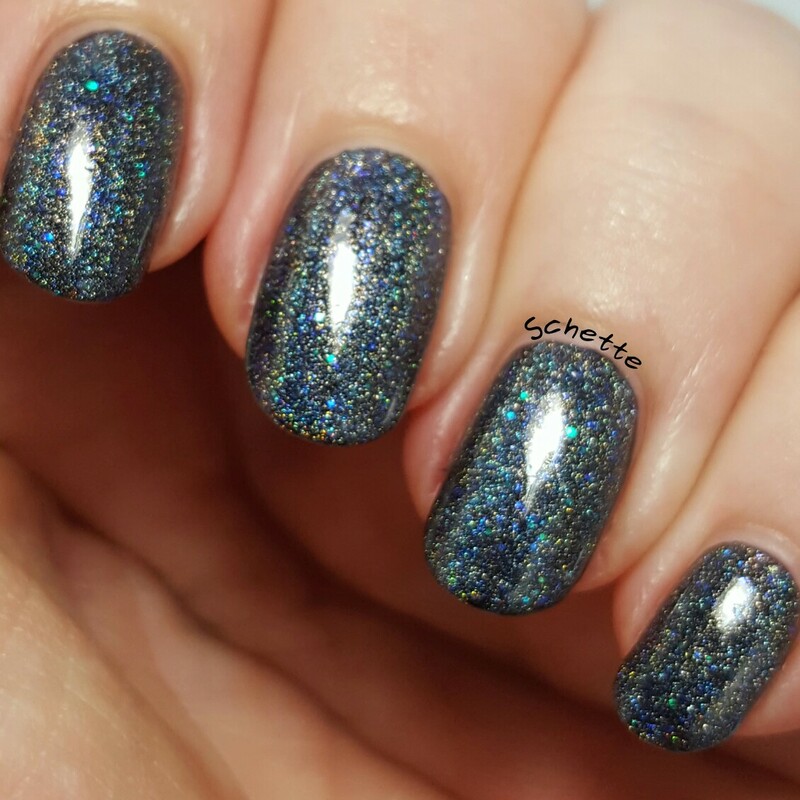 Formule = L'application était très facile et homogène malgré les paillettes. 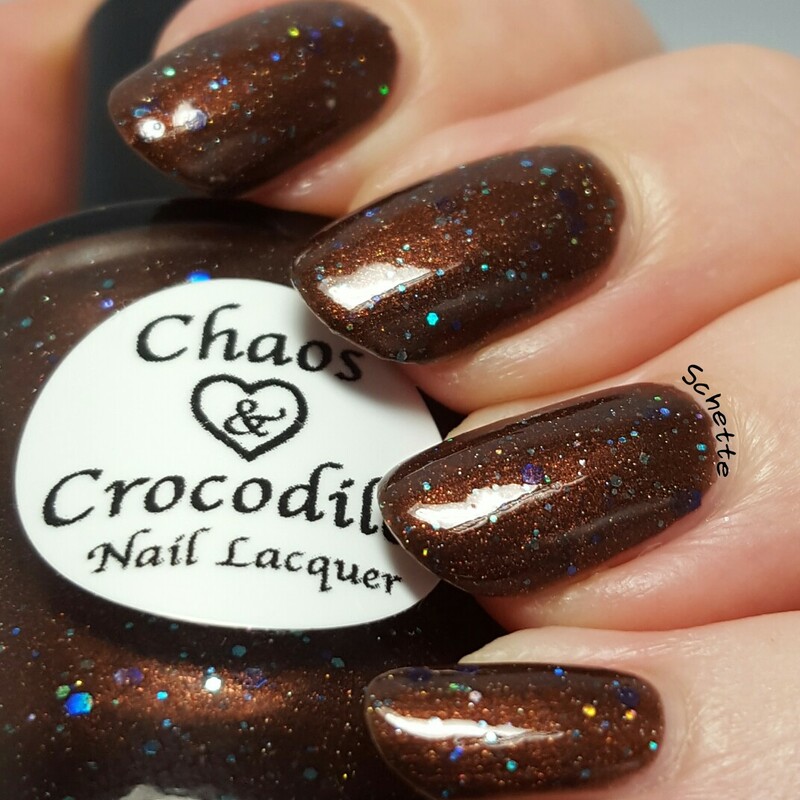 Application = Ici en une couche avec top coat sur une base noire. 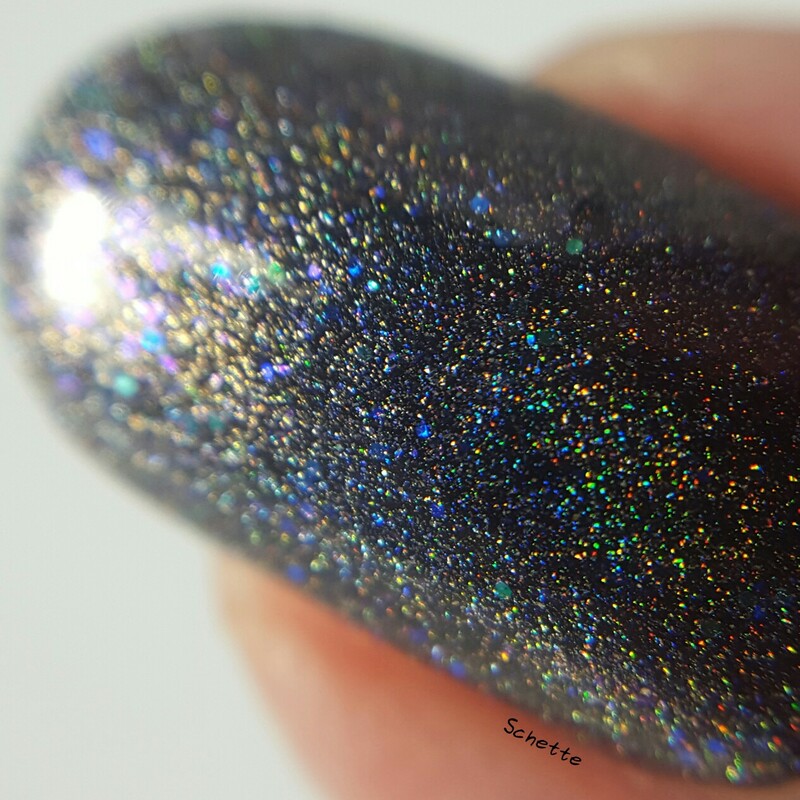 Formula = The application was very easy and homogeneous altrough there was glitters. 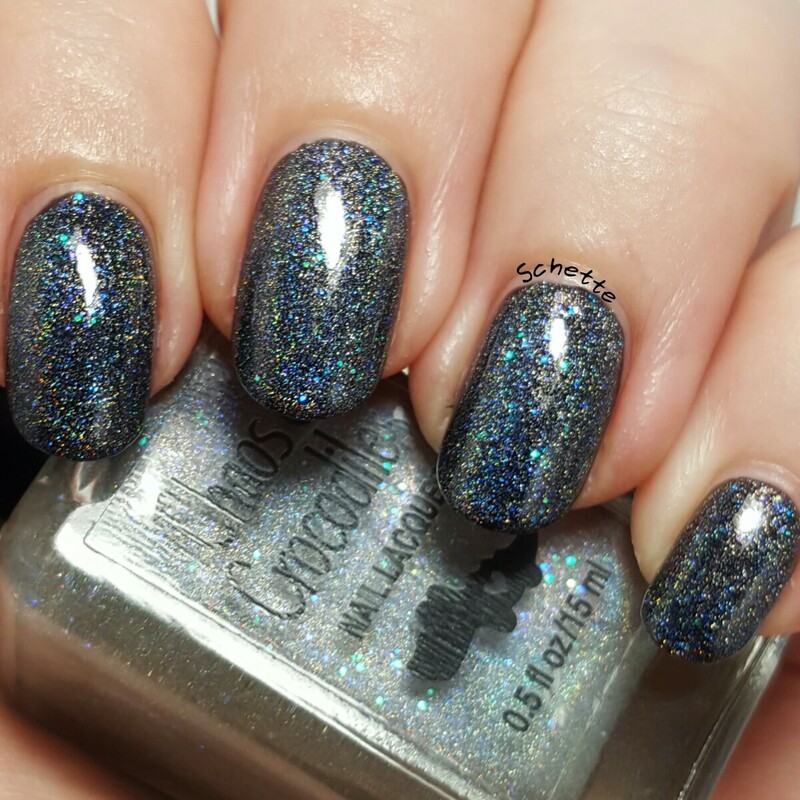 Application = Here in one coat with top coat over a black base.